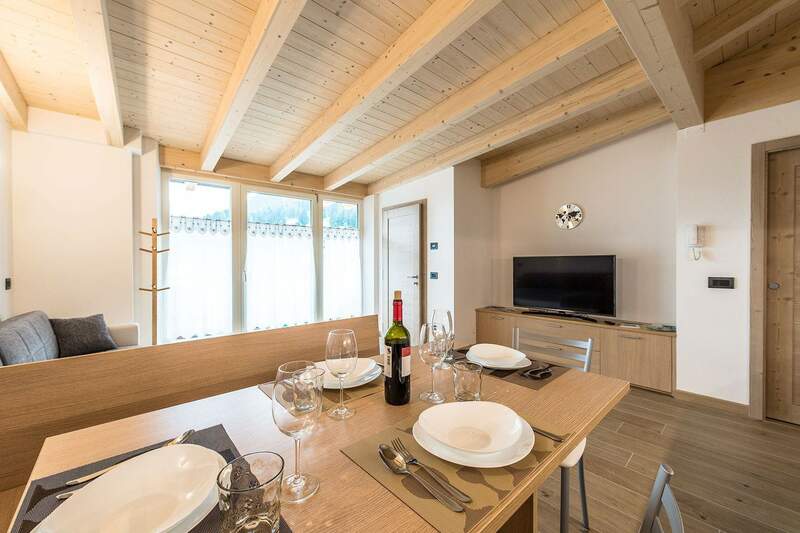 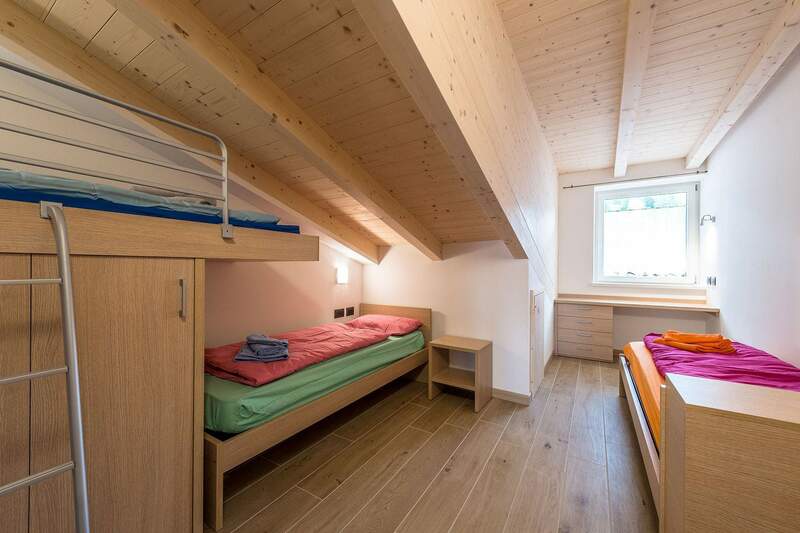 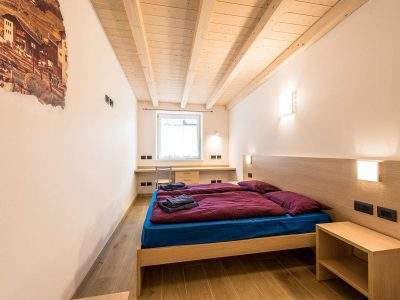 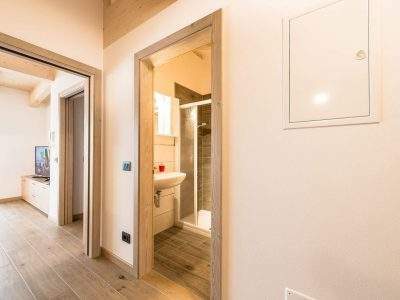 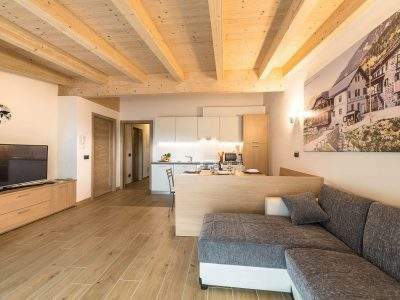 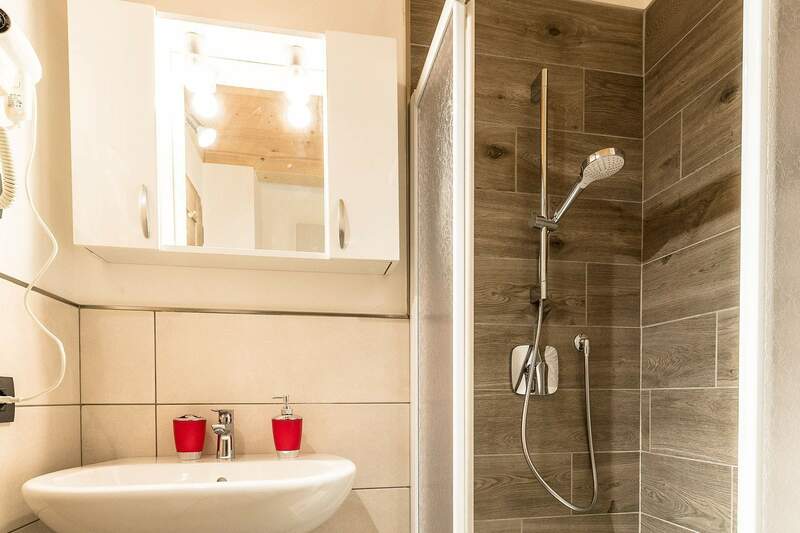 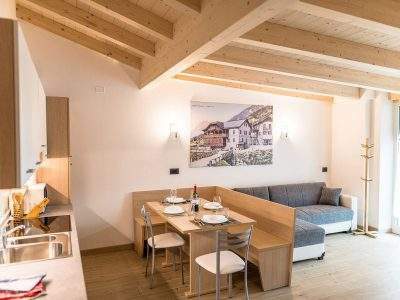 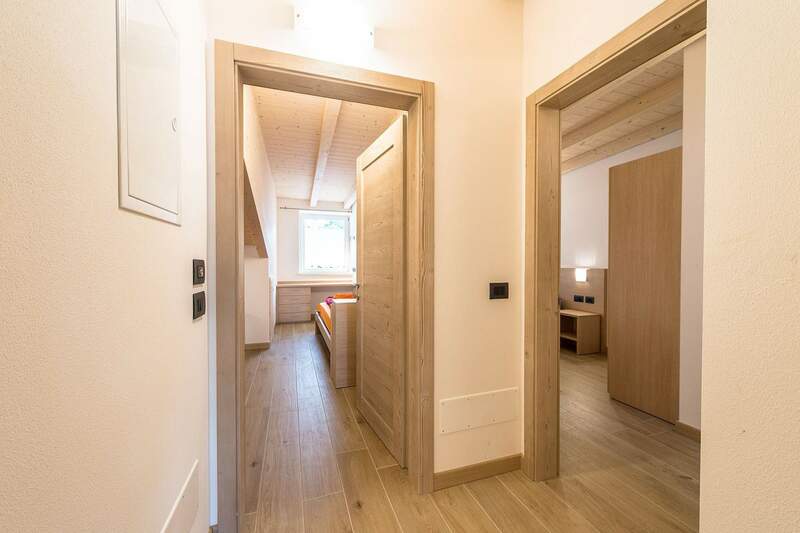 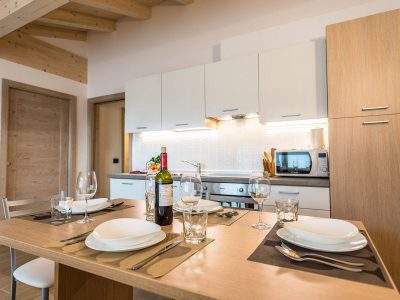 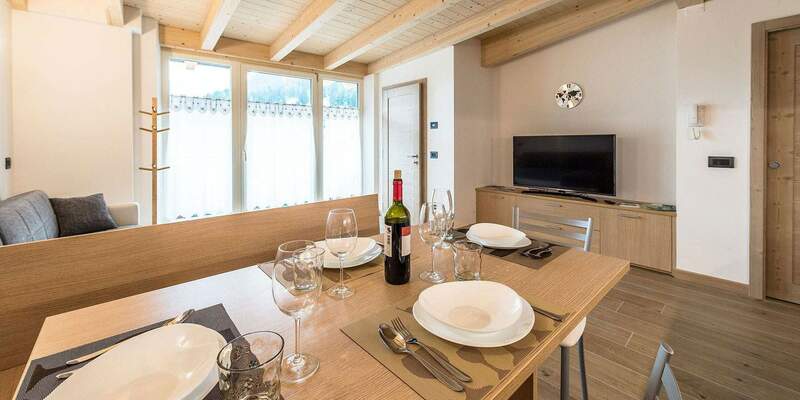 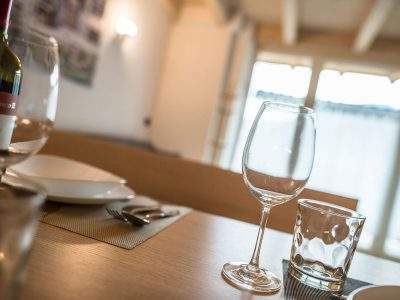 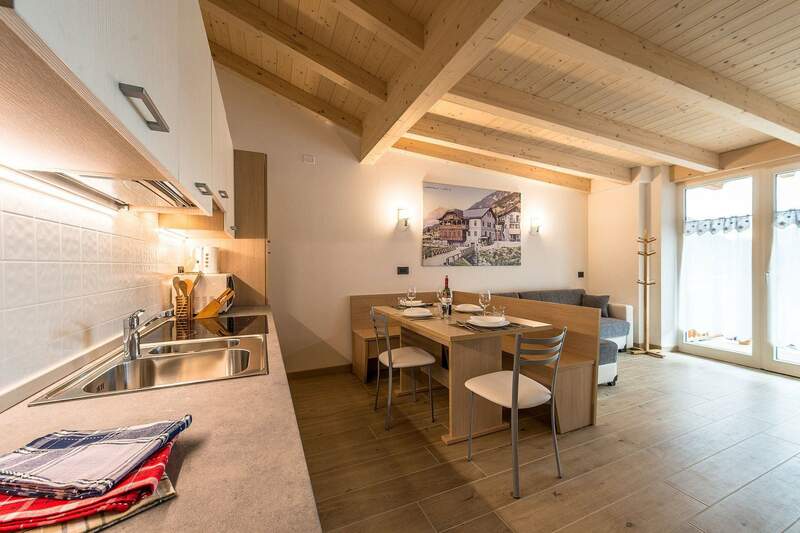 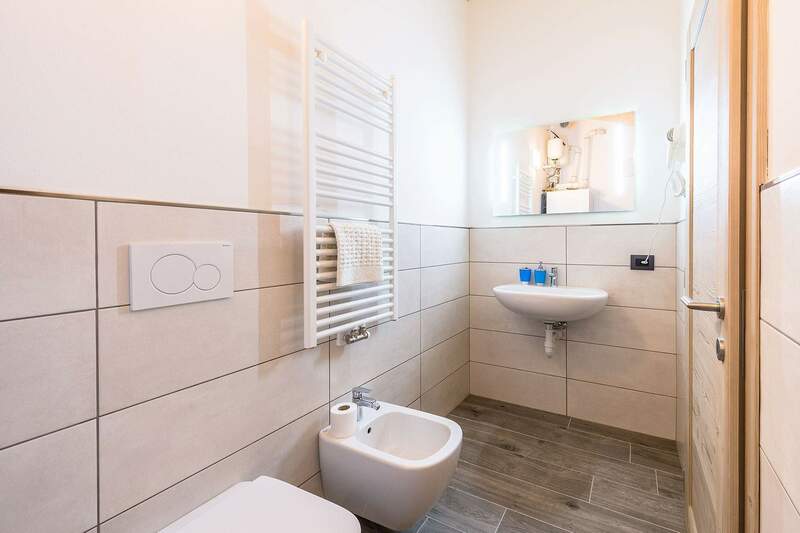 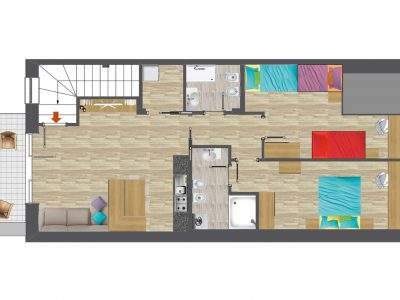 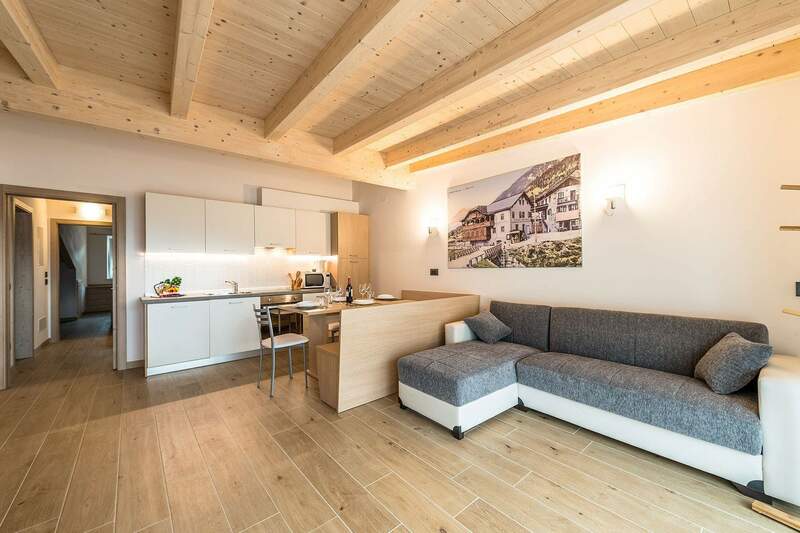 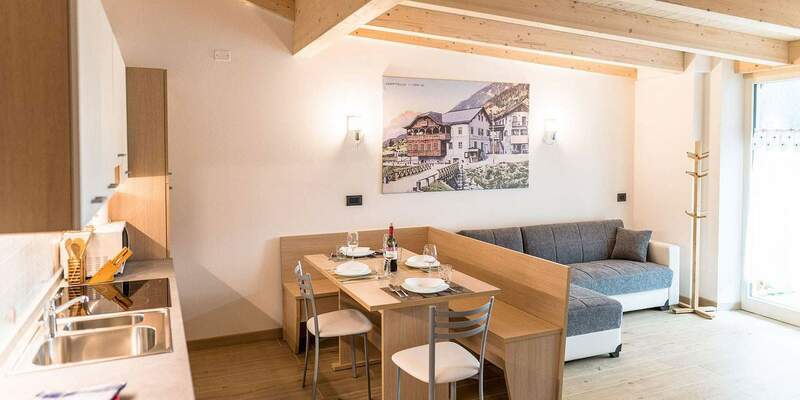 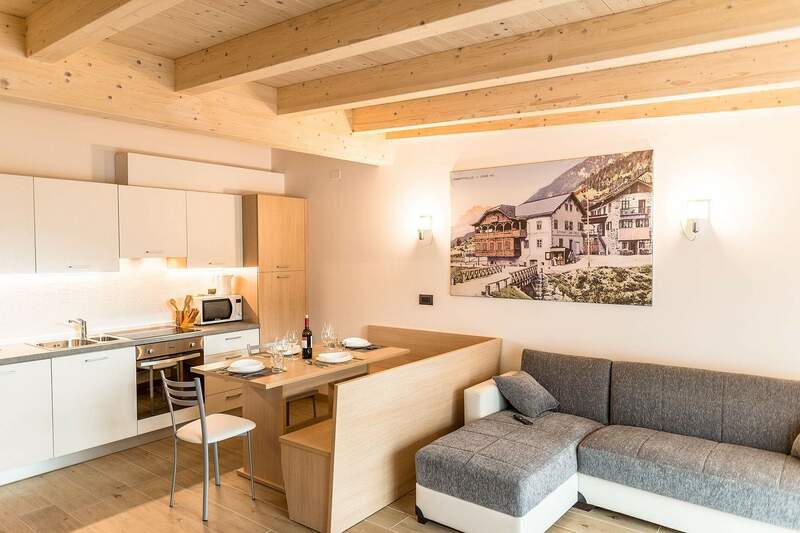 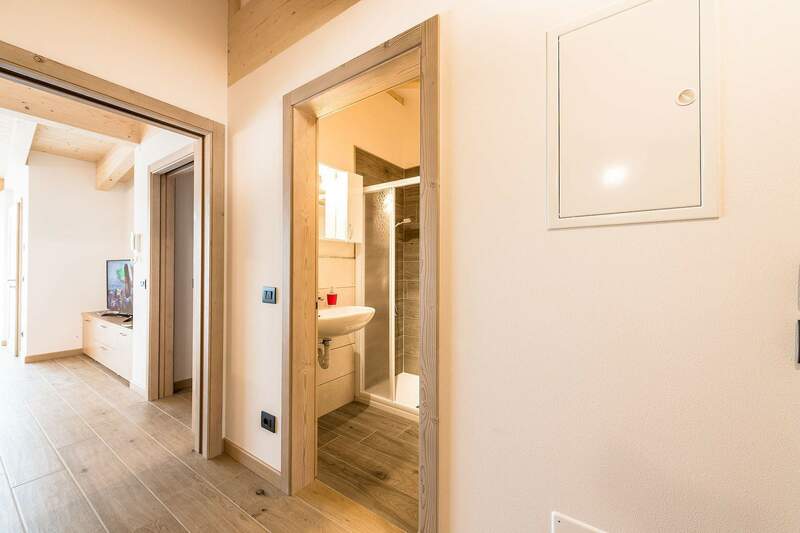 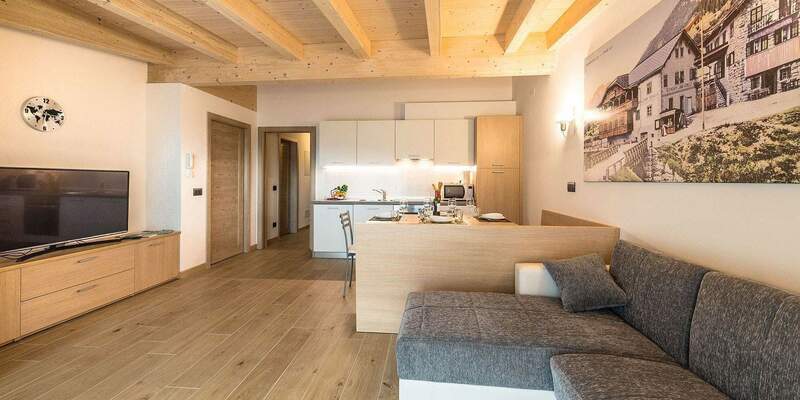 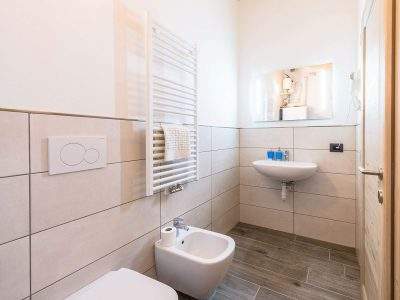 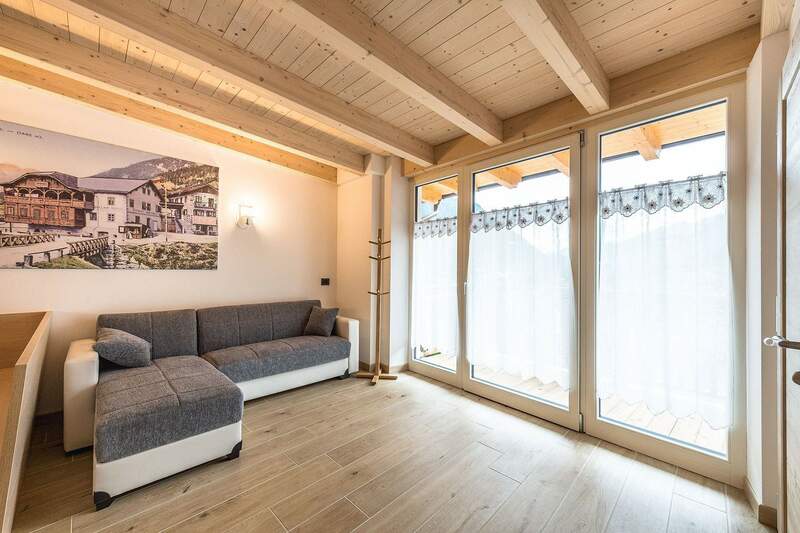 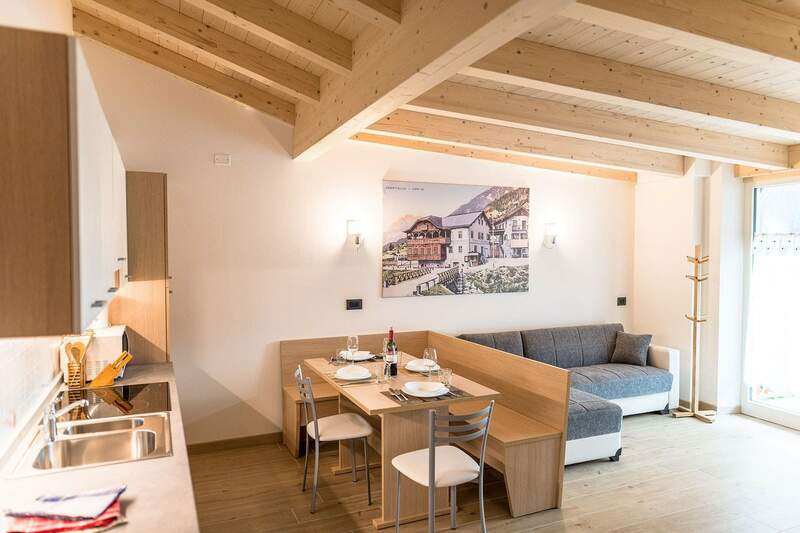 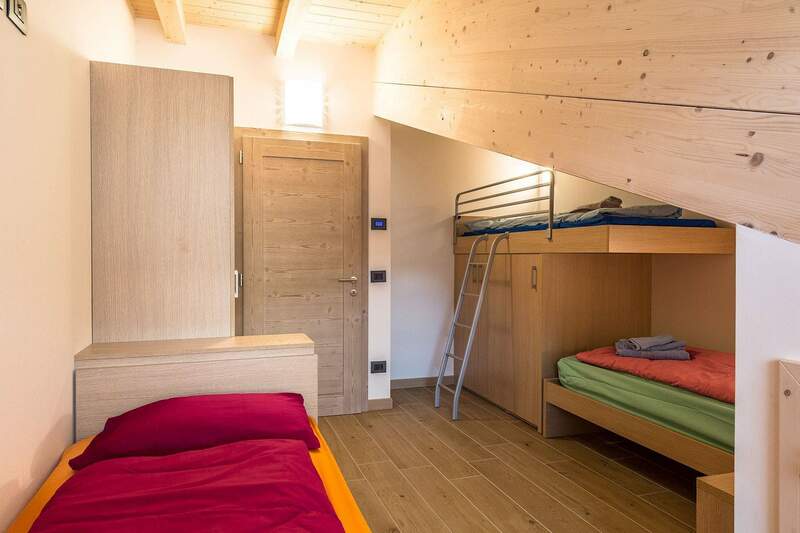 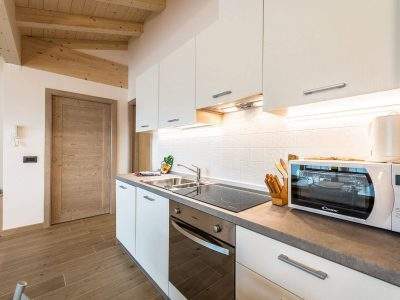 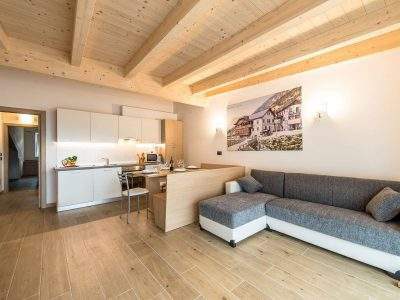 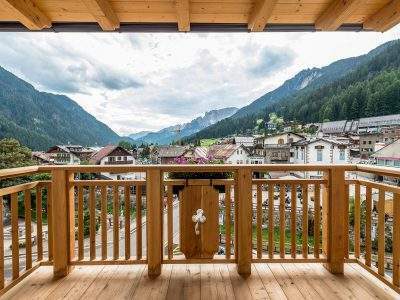 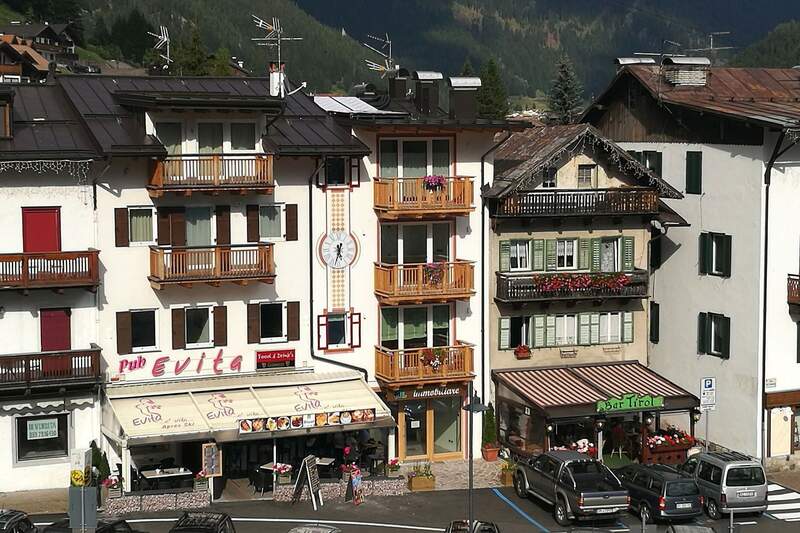 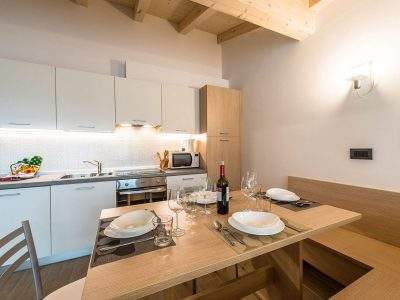 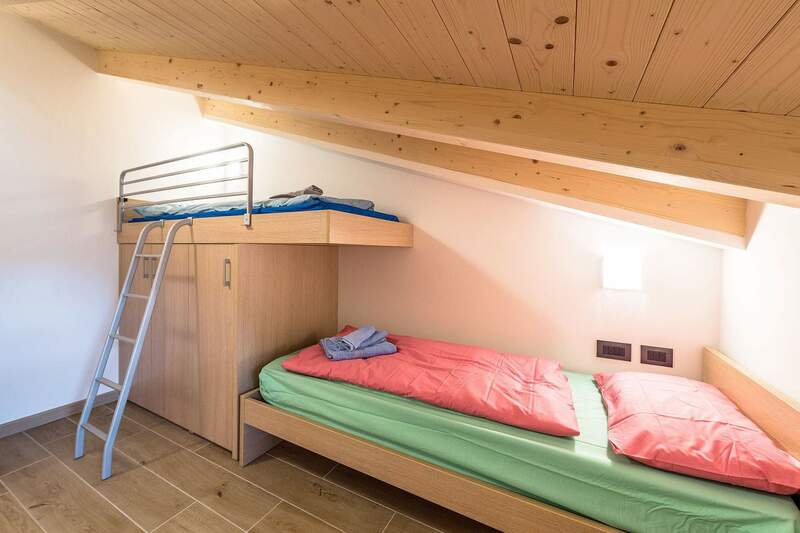 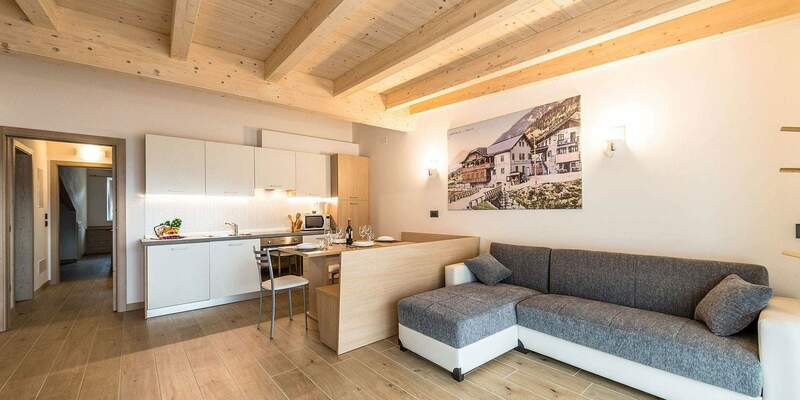 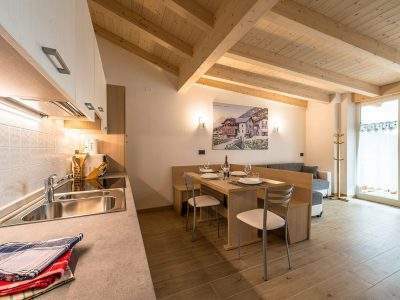 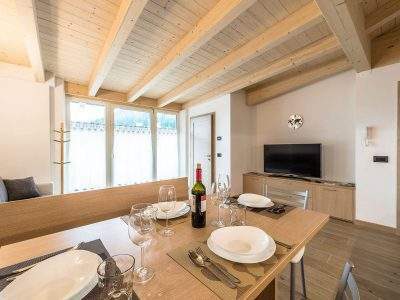 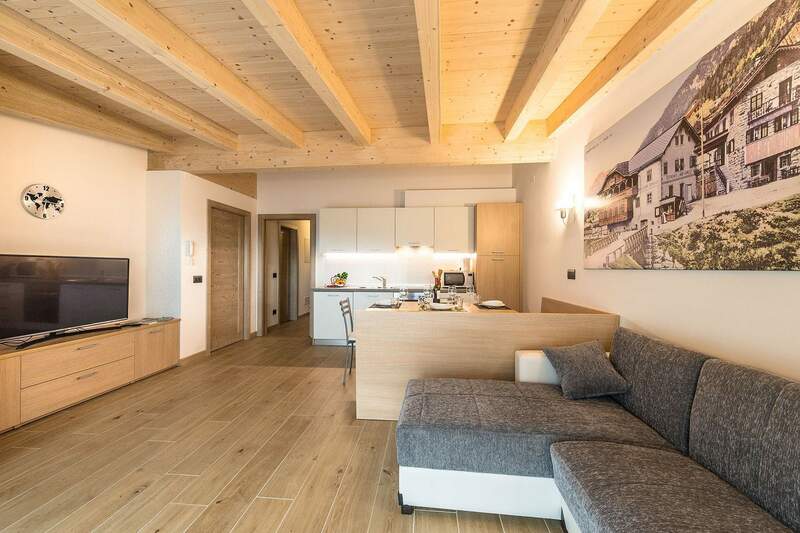 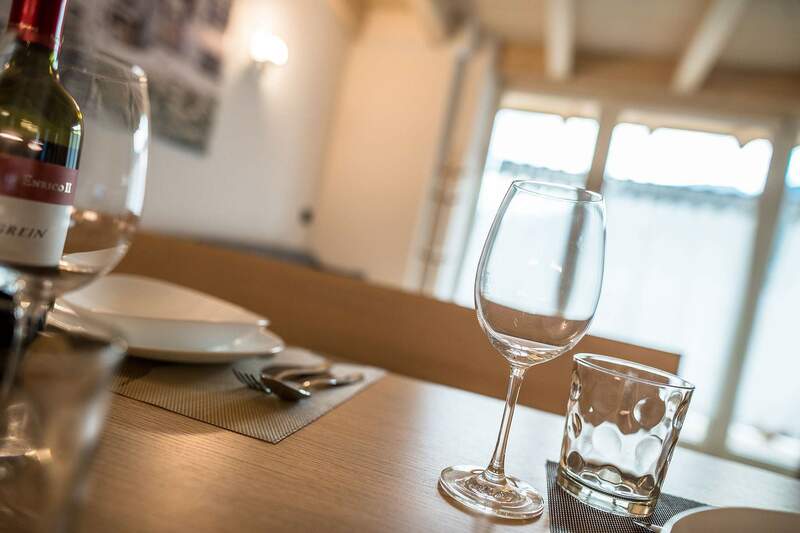 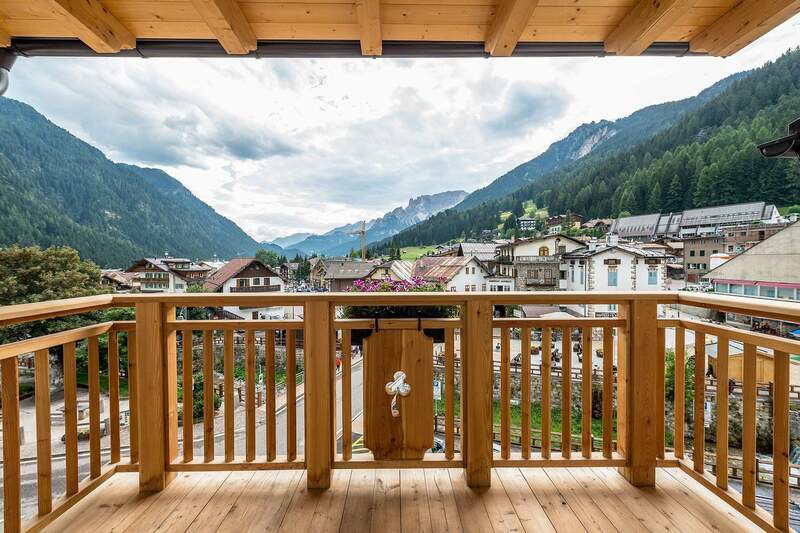 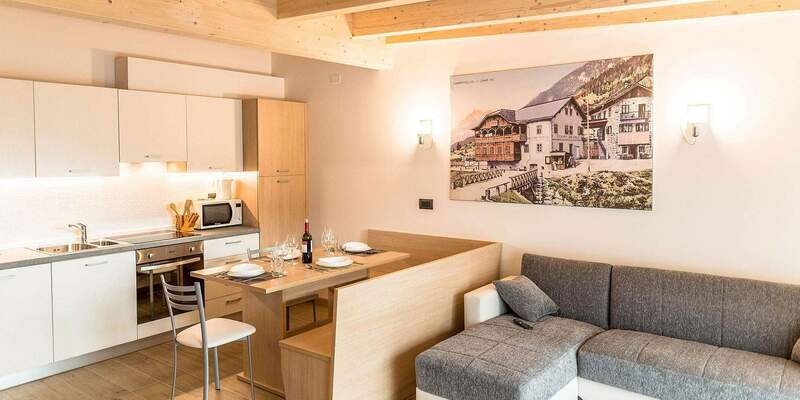 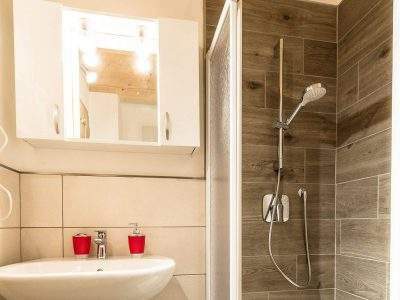 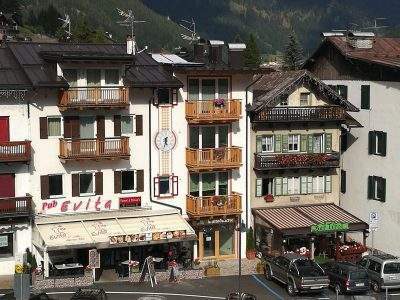 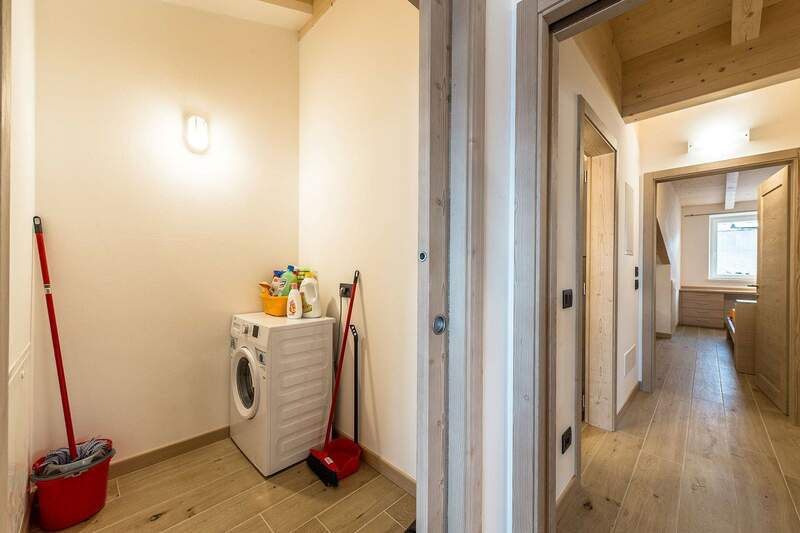 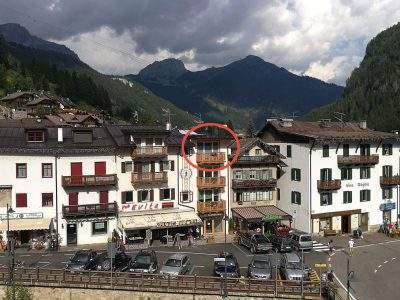 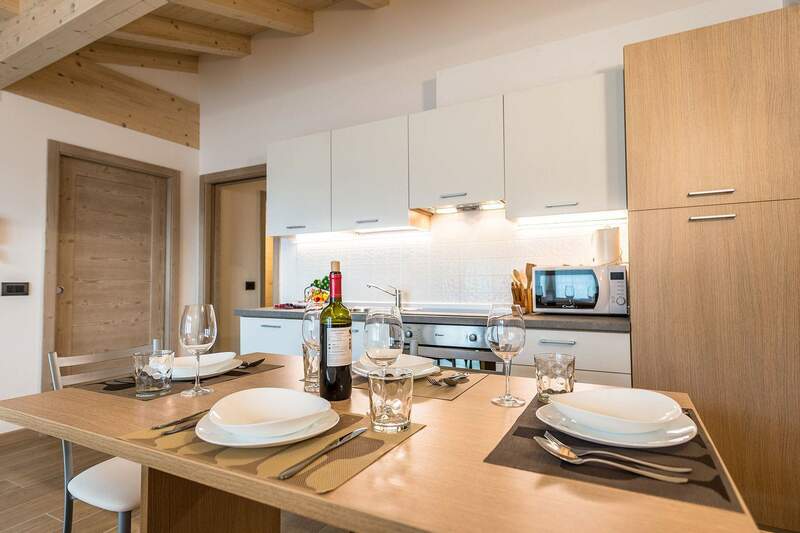 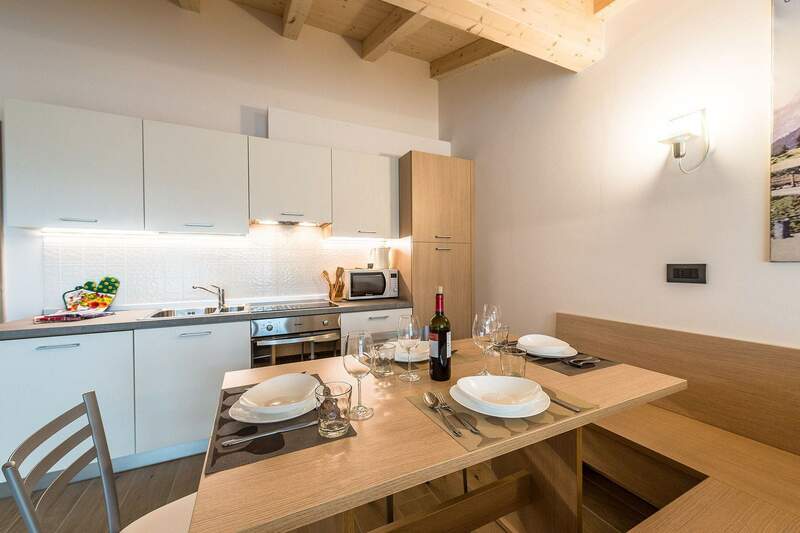 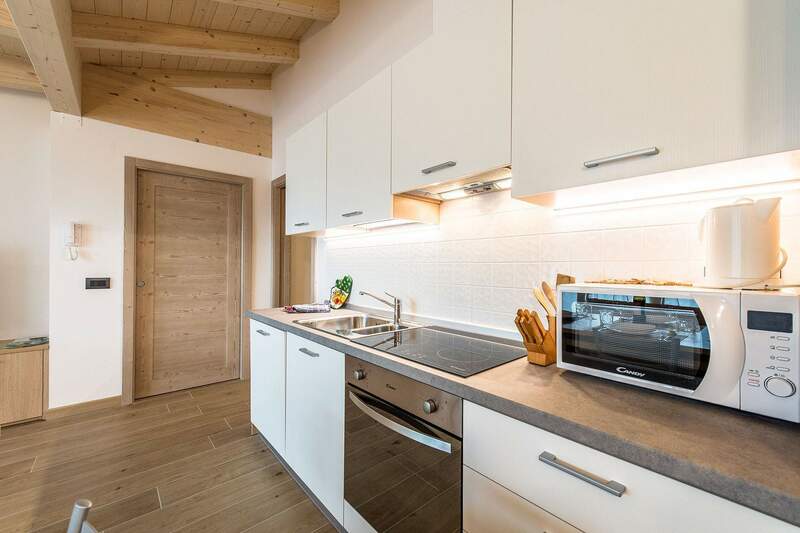 The newly built Elbetina Apartment (July 2018) in Energy Class A, is located in the centre of Campitello di Fassa, 300m from the Col Rodella cable car and offers a balcony with panoramic views of the Piaz de Ciampedel (Campitello main central square). 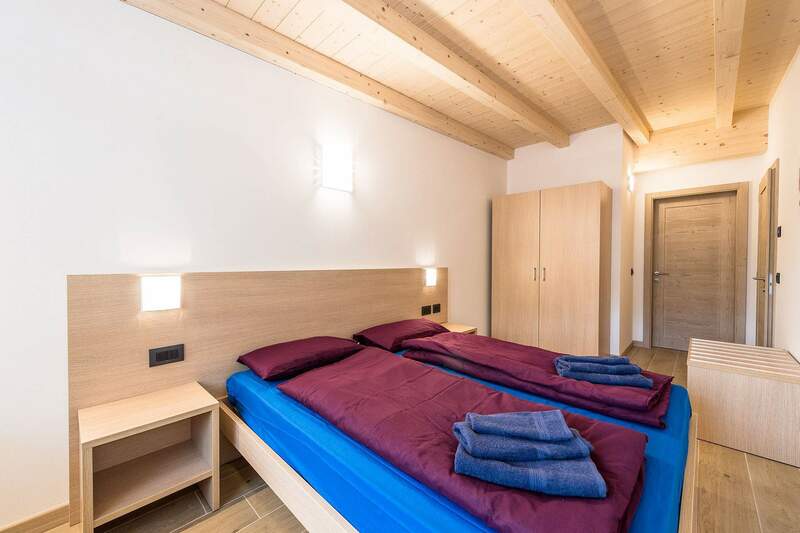 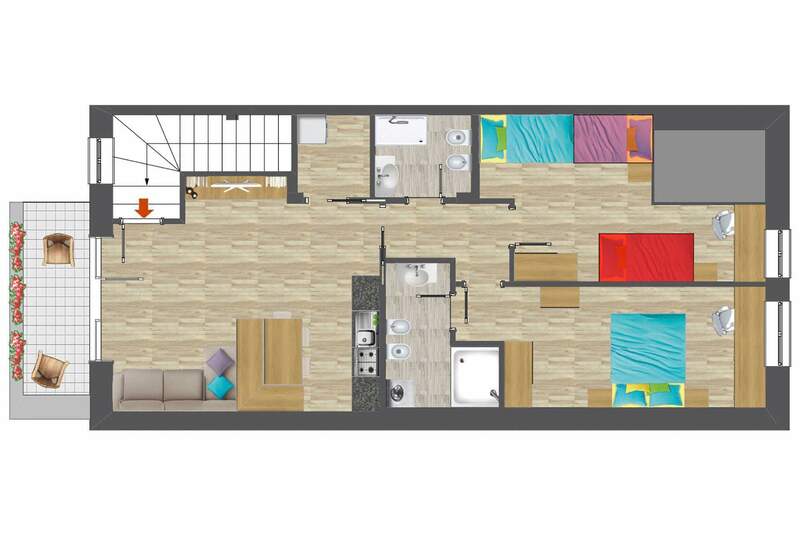 Featuring a wooden ceiling, this apartment on the second floor features a living room with sofa and Smart TV 49” 4K, kitchenette with induction hob, microwave, oven, dishwasher and kettle, 2 bedrooms (one double and one with 3 beds, one single and one bunk), 2 bathrooms with bidet and shower. 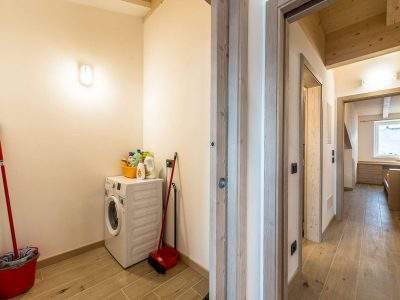 There is also a laundry room with a washing machine. 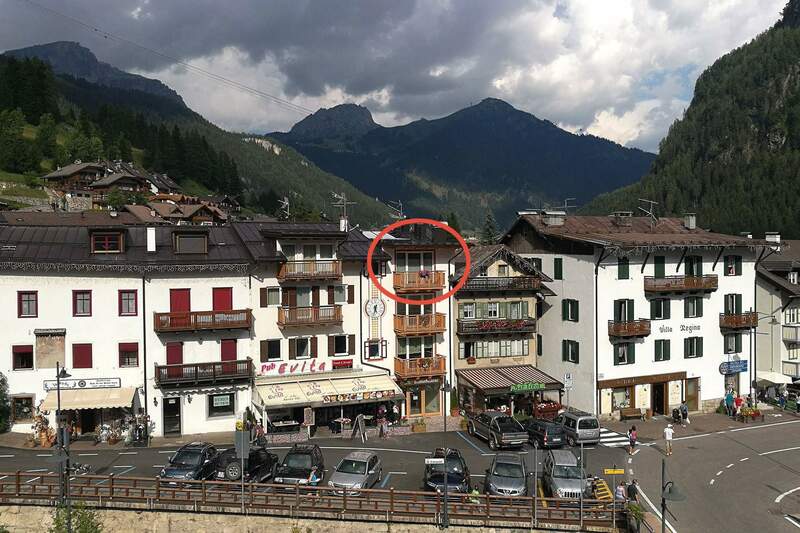 Free Wi-Fi and free private parking is available at 100 metres. 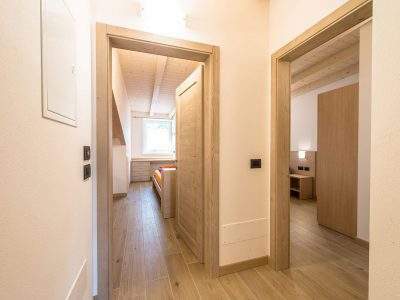 The apartment is new, we had the pleasure of being the first ever guests! 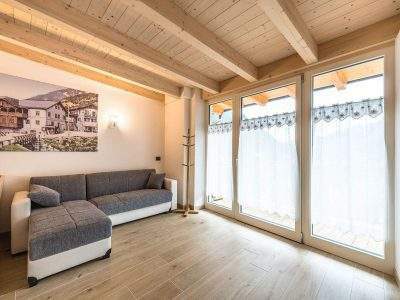 It is spacious, well equipped, has a magnificent view and is perfectly located as a base for going on hikes, close to restaurants and coffee shops, right next to a lovely bakery. 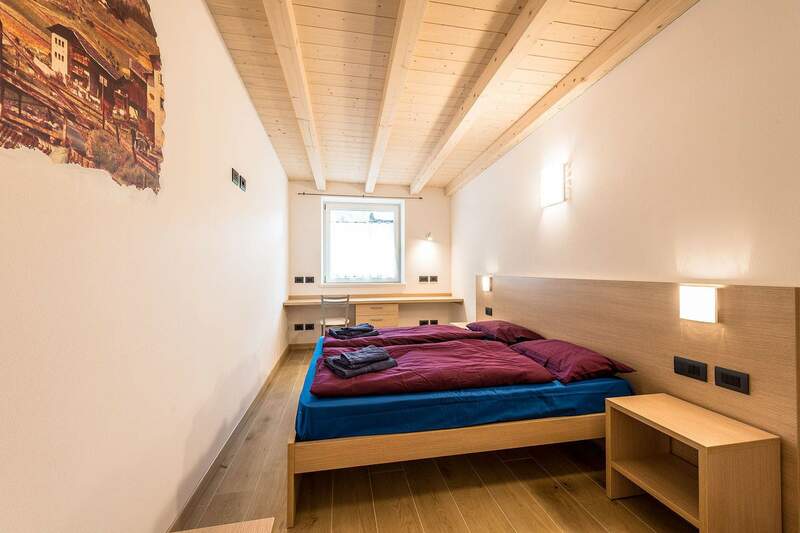 Great stay! 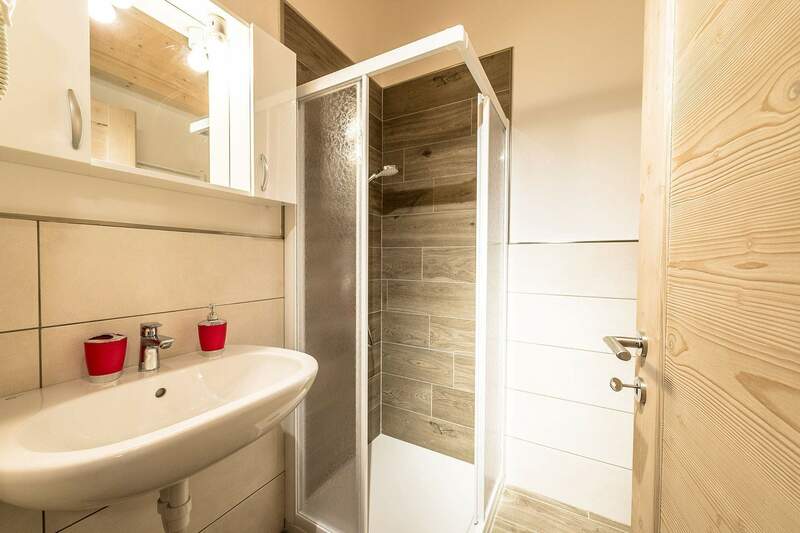 Exceptional courtesy, excellent comfort and cleanliness! 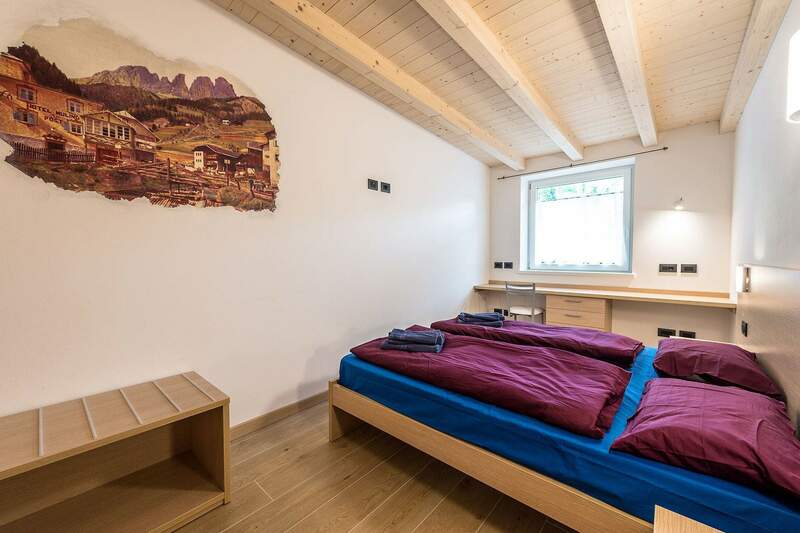 Beautiful house, with all the comforts and in a wonderful location! Exceptional courtesy of the owner!